File photo: Professor Akin Oyebode appeared as a guest on Sunrise Daily on February 14, 2017. 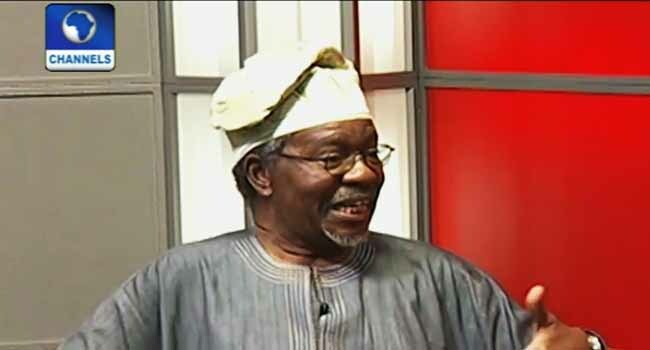 A professor of law, Mr Akin Oyebode, has criticised the present administration as a clueless government. The don said this on Friday in Lagos when he appeared as a guest on Channels Television’s breakfast show, Sunrise Daily. He was reacting to the comments made by the Founder of Microsoft Corporation, Bill Gates, who faulted part of the Federal Government’s Economic Recovery and Growth Plan (ERGP). The ERGP is a medium-term plan for 2017-2020 launched by President Buhari in 2017, which sets out an ambitious roadmap to achieve a seven per cent growth rate for Nigeria by 2020. Going by Gates’ evaluation of the ERGP at the expanded National Executive Council (NEC) meeting held on Thursday in Abuja, Professor Oyebode said it was not an overstatement to describe the present government as clueless. Despite the release of the Dapchi schoolgirls abducted by Boko Haram terrorists on February 19, the academic believes much is still expected from the government. He pointed out the gap between the government and its citizens and took a swipe at the National Orientation Agency (NOA) for not being efficient in discharging its duties. Oyebode added that although the defenders will not agree that “the government is on the ropes”, Nigerians are tired of the routine style of administration. According to him, there seems to be a “tremendous rapport if not support” for the antics of Boko Haram. The professor decried that such situation is worrisome because the government has yet to convince and win the hearts and minds of the people. “We should be able to convince the people to have faith and confidence in their government; but when you see the people celebrating and joyfully hailing those who did them ill, who kidnapped schoolgirls; then something is amiss,” he said. Professor Oyebode, however, advised the government to put in more effort in sensitising the ordinary people in the troubled North East, saying the amnesty granted repentant Boko Haram members is not enough.